It is again my honour, as Chair, to welcome you all to this 21st Melanesian Spearhead Group Leaders’ Summit in Port Moresby. I thank the Prime Minister of Solomon Islands, and the Government and people of the Solomon Islands, for successfully chairing MSG, and I thank them for that. 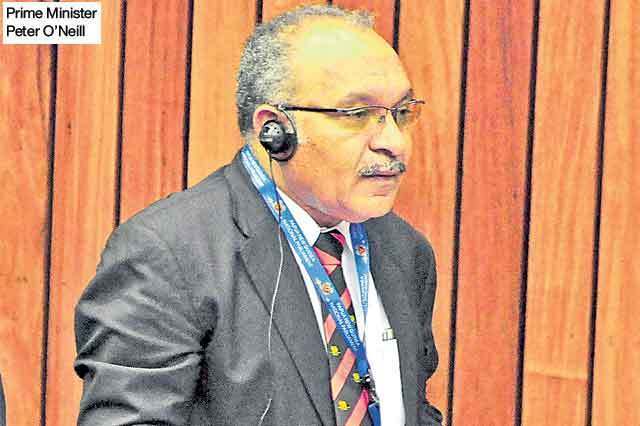 The Solomon Islands went beyond the mandatory two-year chairmanship of the MSG. The humble beginnings of MSG go way back to the informal meeting of Melanesian Leaders in Goroka, in Papua New Guinea, 32 years ago. Two years later in 1988, MSG members agreed on the Principles of Cooperation in Port Vila, Vanuatu. MSG established the MSG Secretariat Headquarters in Port-Vila to celebrate its 10th anniversary. From this we have seen enormous leaps forward in the way Melanesian people work together. This includes governance, security, sustainable and economic development, trade and investment, and certainly in the arts and culture. Scheduled for later this year, discussion on this issue will enable us to consider a more realistic approach for the resourcing and implementation of the Plan. The capacity of our Members to lead and host high-level global events is been tried and tested in our region. Firstly, we congratulate and continue to pledge our support for Fiji’s current Presidency of COP-23. We all have an interest in dealing with environmental issues – particularly the threat brought about by climate change. Our countries, and our people are all threatened by changes in climate, and the disasters this brings upon us. Extreme weather conditions, in the form of tropical storms, and the devastation of drought – has been killing our people and destroying communities. We all know how serious climate change is – with the effect that our people are dying as a result. As a group of collective minds, we must and we will make our voices heard in the global community. At COP-21, in Paris in 2016, our countries were all signatories to a plan of action – and MSG must be at the forefront of making sure the global community of nations keeps to its commitments. We note the devastation that has been brought on countries like Tonga and Fiji and other Pacific Nations recently. Secondly, Papua New Guinea is chairing the Asia Pacific Economic Cooperation forum this year. This will culminate with the APEC Leaders’ Summit in November. Papua New Guinea is the only Developing Pacific Island member of APEC, and we will continue to present the views of the Pacific – in the Asia-Pacific. We have a very strong commitment to share the benefits of hosting APEC with Pacific Island Nations. As 2018 APEC Chair I have invited Leaders from the Pacific to join the dialogue with APEC Leaders. That will be done, and it is a unique opportunity. The APEC agenda provides great opportunity for Pacific Island Nations. APEC is committed to not only expanding free trade, but to building the capacity for all economies to trade in a fair environment. Importantly, our APEC agenda has a very clear commitment to enhancing connectivity of Pacific to Asian economies. This means increasing access to the Internet – not only in cities, but for remote and rural communities. By increasing online access, our people have direct connections to improve education, healthcare and business. This is Papua New Guinea’s APEC commitment to Pacific Island Nations. At a global level, I cannot overstate the importance of MSG Members working together – to comply with global regulatory requirements in strategic areas. An example is our engagement with the International Civil Aviation Organisation. This has direct impact on our air and sea transportation services. 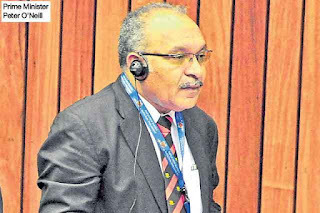 Papua New Guinea will assist MSG Members in this regard – particularly through our work with the APEC Transportation Working Group and Ministerial processes. This works in well with strategic goals of the Secretariat’s 2018-2020 Corporate Plan. Indeed, my brief opening statement will be incomplete without a mention of the institutional structural reforms currently taking place at the MSG Secretariat. Papua New Guinea, with other MSG Member States, remains committed to supporting the MSG Secretariat. We will ensure that MSG will remain the premier sub-regional organisation in the Pacific. We will continue to support one another during the challenging times ahead of us. I wish us all a successful meeting today. Thank you again for joining us in Port Moresby.